Workshop Heaven supply various grades of PSA backed lapping film and microfinishing film sheets that have been carefully selected for use with the scary sharpening method offering efficiency, ease of use and long service life. Scary sharpening is a less expensive option than waterstones in the short term, ideal for the occasional woodworker, or a handy way to temporarily fill the gaps as you build up your waterstone collection. Scary sharpening abrasives can be lubricated used with water, oil or paraffin. If using a combination of waterstones and scary sharpening, we recommend using water as a lubricant for the lapping film/microfinishing film to avoid contaminating your waterstones. 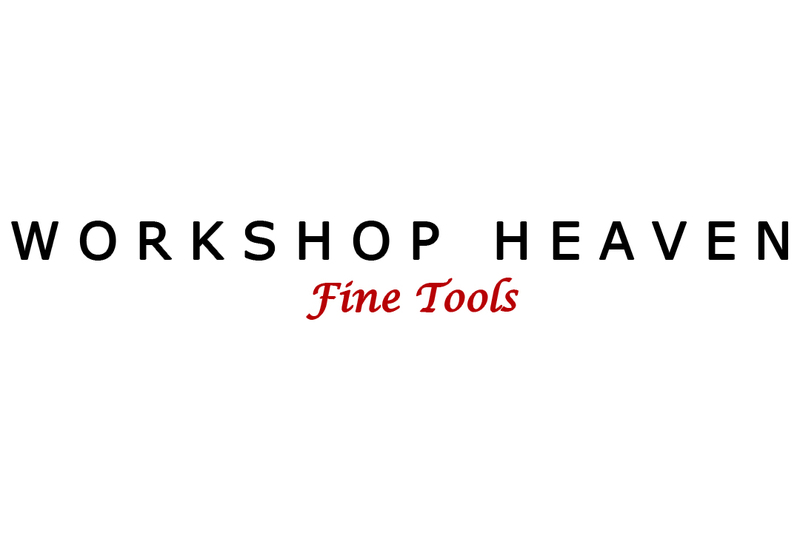 Workshop Heaven have prepared a sample pack of the most commonly used grades of lapping film and microfinishing film available for scary sharpening. The pack contains a 2-1/2" (63mm) strip of each grade to let you see which grades you prefer for your scary sharpening system. The abrasive mineral for all sheets in the pack is aluminium oxide. Silicon carbide mineral is also available on our website if you prefer. The microfinishing film tends to be more durable, but the lapping film is available in finer grades for final polishing. The sample pack contains a total of 13 2-1/2 inch strips (the equivalent of 3-1/4 sheets of sharpening film). I ordered this pack on a monday night and had it in my hand on thursday the same week. I tried it out today and produced the best edge my favourite chef knife has ever had. I'll have to develop my method somewhat somewhat since the finer grades are very easy to cut if you're not careful. As a retired joiner I had not heard of sharpening film before, it is an excellent product, wish it had been obtainable years ago. So much easier to keep to chisels and plane irons free from camber. Also workshopheaven very helpful. Fast delivery, products have really improved my sharpening. Simply amazed at the quality of the paper as well as their shipping method. Very very friendly staff as well as very knowledgeable. I have the lot - diamond, waterstone, ceramic, fine old oilstones. This medium is brilliant: low-cost to start, always FLAT, clean to use, very effective. If you are tired of unwanted 'cambers' then try this. Excellent product and service, I am delighted. Don't forget to count your fingers after you've done your chisels. Excellent service. Have not tried all of the pack, but the results with the three sheets I have tried are outstanding. As someone has already posted check your fingers!!! This is ideal for anyone who wishes to 'try out' sharpening using abrasives at a reasonable cost. By purchasing this pack you can check out which grades work best for you. Throughly recommended for a starting pack and excellent value for money. And they really do work, ouch! I tried these as an alternative to waterstones. I have to say impressed with this product. Care must be taken to use only on the pull stroke to avoid damage to the films. I received the pack with my Narex Chisels. I was a little dubious with how to use them at first. They give a good edge really fast and the self adhesive backing is a nice touch. They lasted well and I would use them again. After receiving mixed results with Diamond and Water stones, I gave these a try. Fantastic! It produces a quick, accurate and beautifully polished blade edge at a fraction of the price of the alternatives. use with the Veritas honing guide system for a consistent and repeatable bevel.